This self-contained dwelling, which is approx. 30m² with several slopes, provides a pleasant cosiness. 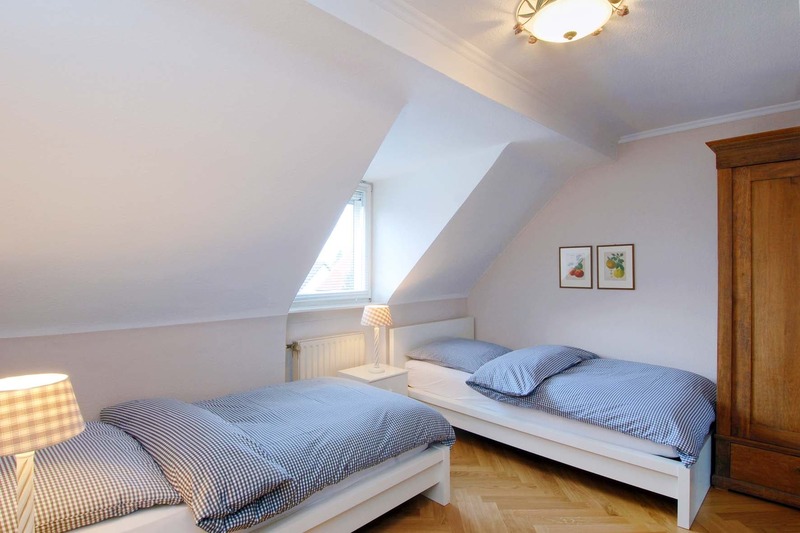 Double room, single room, shower-bathroom and hallway. 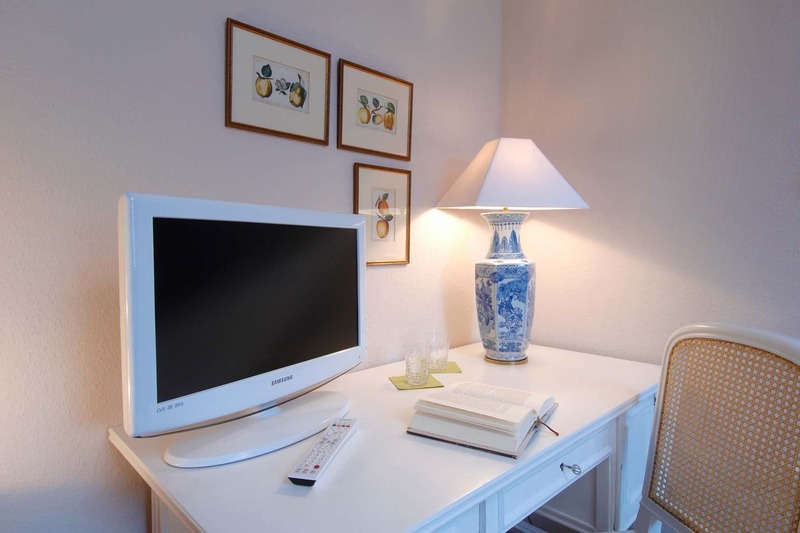 The double room (overlooking the peaceful Amsterdamerstraße) is furnished with two single beds (1m wide), a white desk, a white flat-screen TV and a grey white-washed oak cabinet. The adjacent single room is furnished with a 1.2m single bed, an antique mahogany cabinet, a white marble table and a flat-screen TV. 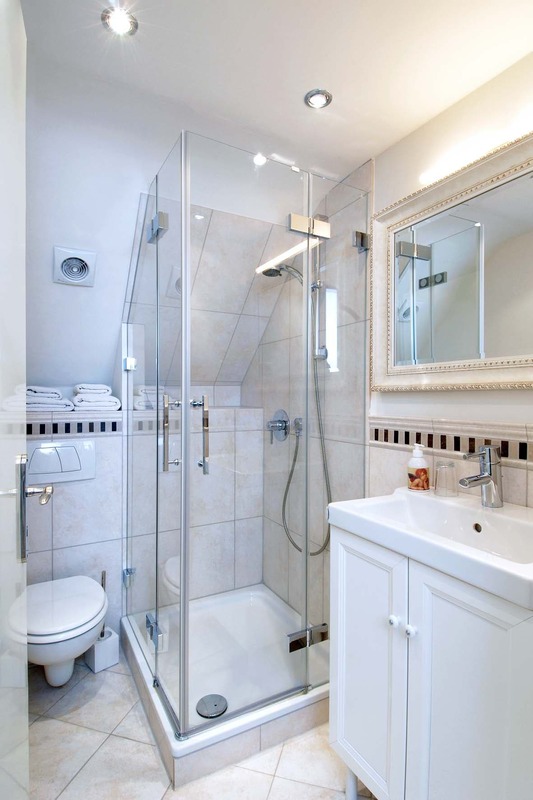 There is a small, tasteful shower-bathroom with natural stone tiles for the use of both rooms. 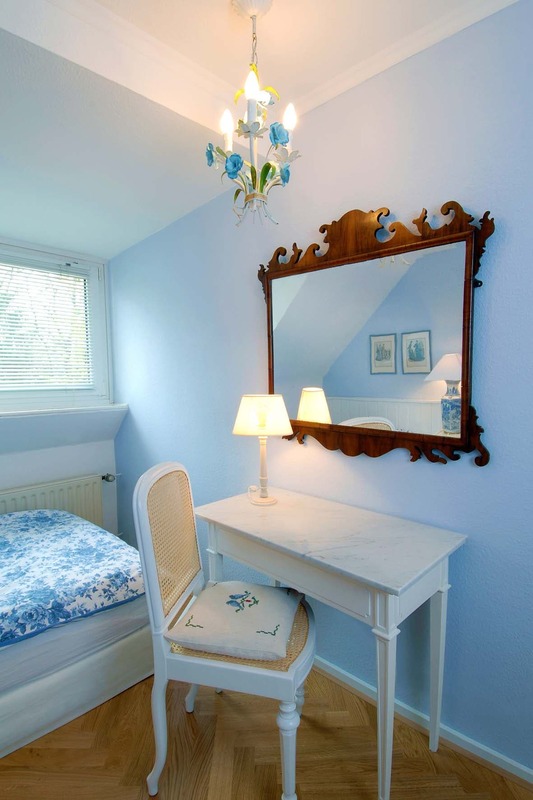 The bedrooms are furnished and painted in harmonious colours. The floor is covered with oak parquet in a herringbone pattern. A small fridge containing drinks is available in the stairway.